Do you need a banquet or convention facility that is sure to be a draw? If so, there is no other option in Southern California quite like the Disneyland Resort hotels. Over the years, the Disneyland Resort Hotels have been home to some of the most memorable meetings and events that corporate comedy magician/entertainer, Chris Linn, has performed at. The events at these venues run smoothly and there is happy energy to the meetings that go beyond what you normally see at a corporate or association conference. The reason for these successful events comes down to one word…”magic”! After all, Disneyland is known as the “Most Magical Place On Earth”. Disney meeting planners know how to bring all the magic and top-tier customer service people expect from a Disneyland vacation, and weave it into an unforgettable meeting experience. Although Disneyland is a place that brings smiles to the faces of millions of children (and just as many adults who are kids at heart), the list of amenities and services offered by the Disney meeting planners is definitely not child’s play. Content Development & Speech Writing – If you need assistance creating killer content that will engage attendees, Disney has it available to you. Entertainers – When planning a conference at Disneyland you can bring it up a notch by bringing in Disneyland’s live performers. Disneyland offers everything from improv actors and musical performers to the famous Disney characters. Stage Design and Décor – Take full advantage of Disneyland event planning by utilizing a warehouse loaded with stage set options and décor to dress up your event space. This gives you the opportunity to create some true one-of-a-kind theme nights and gala dinners. Full Audio and Visual Support – State-of-the-art audiovisual equipment is available for your speakers, breakout sessions, and after-dinner entertainment. 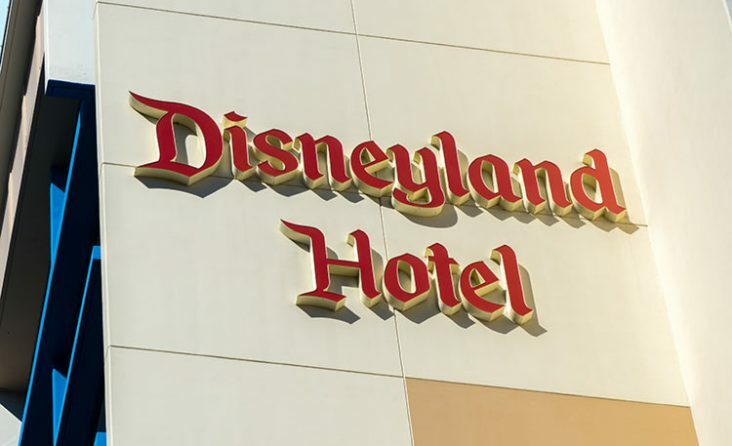 Disneyland offers many options for hosting a company event within one of their two parks, however, we are going to focus on all the options offered by their three hotels. Each of them includes the amenities that you look for in a hotel, such as pools, fitness center, and dining options. But, the Disneyland Resort hotels also put you within walking distance of the other hotels, including the Mandara Spa located at Disney’s Grand Californian Hotel, the Downtown Disney District for great shopping, Disneyland and California Adventure. Choosing a Disneyland Resort hotel in Anaheim, CA for your next company event venue also gives you access to the unique and creative culinary skills of the Disney chefs. They will work with you to create the perfect menu to fit your event and your budget. The iconic Disneyland Hotel is a AAA Four Diamond Award Winning Hotel. It boasts modern luxury-contemporary décor and features 970 guest rooms for your conference attendees. This hotel has the largest amount of flexible meeting space available at 136,000 sq. ft., including 52 separate breakout rooms. From ballrooms and conference rooms to the Sleeping Beauty Pavilion, there is a space to fit any size conference that you have. If you are looking to enjoy some of the beautiful California suns, plan an event on the Magic Kingdom Lawn. It features ambient lighting and a built-in stage to create a one-of-a-kind experience. The Grand Californian Hotel & Spa is home to the Mandara Spa and a AAA four diamond award winning hotel. The elegantly beautiful American craftsman-style hotel hosts 940 guest rooms for guest accommodations. The hotel has big and bold décor to match the theming after the National Parks. Every detail is accounted for and conference attendees will surely take notice. You can choose from 20,000 sq. ft. of meeting and event space to hold your event. If your conference will include breakout sessions there are 18 separate rooms that you can use. This space includes conference rooms, ballrooms, meeting rooms, and 3 separate courtyards to bring your event outdoors. In early 2017, Disney’s Grand Californian Hotel and Spa began a major renovation that includes updates to all the guest rooms, lobby area, as well as the pool and recreation facilities. These renovations are expected to be completed by the end of 2017 and promise to bring some exciting new magic to this magnificent resort. This AAA three-diamond award winning hotel celebrates the fun and relaxation of popular southern California boardwalks from the 1920s. There are 480 guest rooms and attendees can enjoy watching the Disneyland firework show from the rooftop swimming pool. 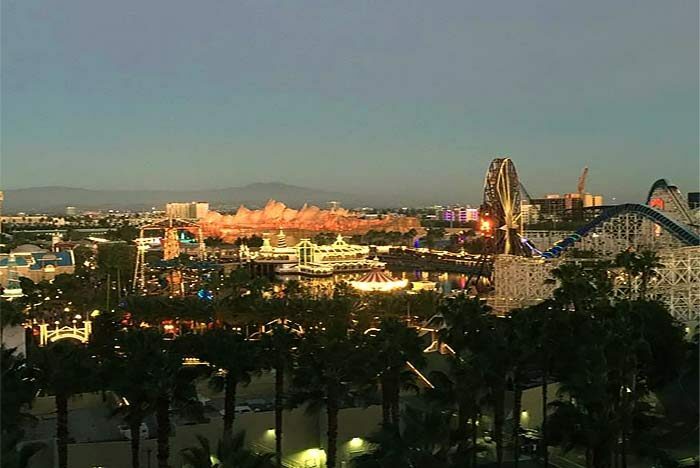 Paradise Pier Hotel boasts 24,000 sq. ft. of event and meeting space for your conference at Disneyland. For an indoor event choose from several ballrooms and meeting rooms with 8 breakout rooms. If you want to enjoy some of the warm Anaheim, CA weather, you can host your event at one of the hotel’s two outdoor event locations. Outdoor locations include a picturesque pier side pavilion, and a patio area with 3,200 square feet of space and the ability to accommodate hundreds of guests for cocktails or an al fresco banquet dinner. In 2016, Disneyland got approval to build a new luxury, Four-Diamond resort hotel on the Disneyland Resort property. Scheduled to open in 2021, the initial concept plans for this hotel include 700 guest rooms and an upscale rooftop restaurant that will no doubt offer amazing views of both theme parks and the nightly fireworks show over the iconic Sleeping Beauty’s Castle. No details about conference facilities for this new venue have been announced yet. With all the features of the Disneyland Resort hotels and meeting services offered by Disneyland Event Planners, there is no other place in the world to hold your company quite like these venues. Disney is the king of storytelling. The key to their success is because they use a combination of discovery and collaboration. It pulls people in, engages them, and leaves them with a great memory in the end. Let the Disneyland Resort Hotels help you tell your next great story! Once you have your event and venue confirmed, you will want to hire entertainment that is just as amazing as the event location that you chose. Corporate comedy entertainer, Chris Linn, has extensive experience performing for corporate and association meetings of every size at all 3 Disneyland Resort Hotels. Contact us today for an entertainment quote and to check availability for Chris to provide after-dinner entertainment at your conference or banquet.